Sureboi Nation Is Back With Another Banger. 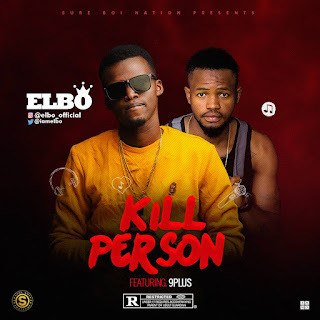 The Sureboi Front Line Artist Elbo Whose Real Name Is Umar Ibrahim Is Back After He Dropped A Single (Bambanchi) Last Year Which He Featured Arewa A-list Rapper B. O. C Madaki, Now He's Back Wit His First Single Of The Year 2018 Which He Featured The Lagos Next Big Artist 9plus Who Is Currently Signed To Jahzempire In Lagos, And Presently Singer Elbo Is Working On His Music Ep Which He Promises Nothing But Hits Back To Back With Lots Of Great And Talented Artist To Be Featured.